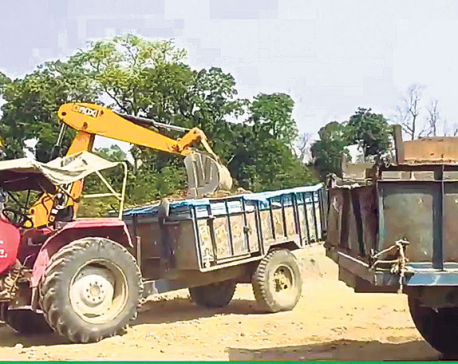 NEPALGUNJ, Sept 18: Locals allege that there has been massive deforestation in the Kohalpur area due to the nexus between timber smugglers and forest department officials. 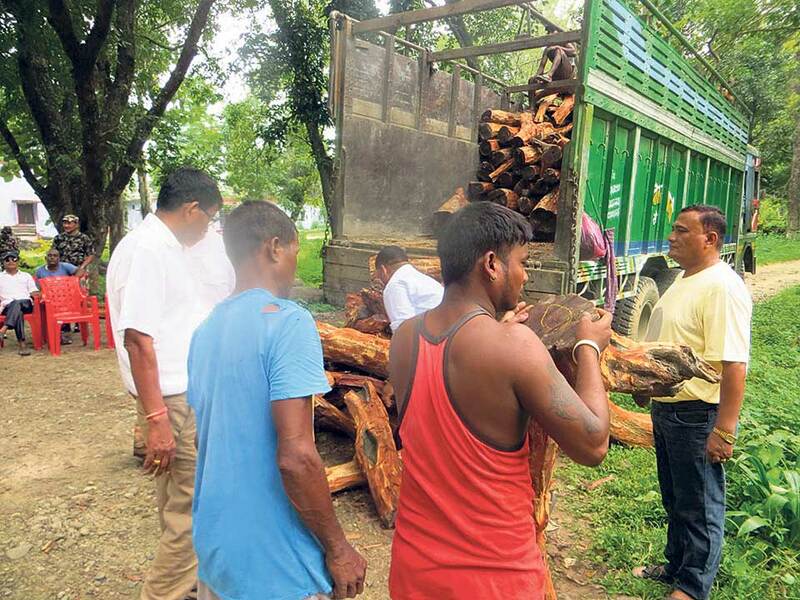 Smuggling of timber is rampant in Kohalpur, said another local Dilip Sah stating that, ‘heavy vehicles transport timbers day and night’. “We don’t know if that timber is legal or smuggled or where all that timber is transported to. But we do know that they transport timber day and night. And, if this continues, I am afraid soon there will be no trees around here,” he warned. Sah accused the district forest office of not monitoring smuggling of timber strictly around the area. He said that though the members of the community forest committees vow to preserve forest while joining the committee, they too have been working with the timber smugglers. He accused forest department officials and the community forest committee members have been easing smuggling of the timber by slackening monitoring. Despite such accusations, there are instances, which show that authorities have been monitoring. On Tuesday, Division Forest Office of Banke had taken control of a truck loaded with high-grade timber. The office took control of the truck with number plate Na 3 Kha 2750, after its driver was not able to produce necessary papers. After investigation, Chairperson of Rani Community Forest, Buddha Tharu, from which the timber was procured and a representative of PP General Order Suppliers, Shekhar Prasad Chamar were detained by FDO, Banke. Further investigation into the case brought to fore involvement of some officials of the District Forest Office. A source, who has information about the case but did not wanted to identified, informed that some officials from the Sub-division Forest Office and a ranger at the division office, Dip Bahadur Shahi, were involved in the smuggling. “Even more officials from the forest department maybe involved in this case. We are investigating,” said Acting Chief of FDO, Banke, Ganesh Khadka. “We will take due action against the guilty,” he added. 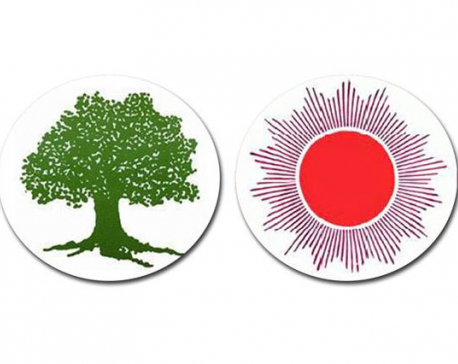 However, Tharu defended that the trees were cut following due process. “The timber was not smuggled,” he claimed though he could not show the required paper work to back his claim. He claimed that permissions for cutting certain number of trees was approved by the community forest and said that he was not aware how the truck was carrying timber that was not approved. “We had followed due process and cut only the number of trees we had permissions for. But we do not know how the additional, unapproved timber, was loaded onto this truck,” he said. He claimed that someone might have done that to frame him out of personal enmity or would have done that to earn extra money. He said that a ranger and some other officials from the District Forest Office accompanied the community forest officials when the trees were logged. He claimed that the ranger had even asserted that logging a little more or less trees than permitted for does not matter. “Since he assured that it would not make a big difference, we were a bit negligent in following the permission provided. But, it is quite surprising to see that the truck was loaded with huge quantity of unauthorized timber logs. I am unable to comprehend it,” Tharu said. Sah however denied buying Tharu’s claim. Locals have seen ‘these people’ carrying timbers to market for long and claimed that until now ‘nobody checked them’. If he is saying that he does not know how that unauthorized timber made its way to the truck, you should ask him since when does he not know that, Sah asserted. “They know everything about it. Timber is being smuggled for a long time now. And there is direct or indirect involvement of the forest officials as well in this,” he alleged. Khadka states that a thorough investigation is presently underway. “We have formed a committee under the coordination of forest officer Prabhat Dahal to investigate the case seriously,” he said. Meanwhile, Ranger Shahi expressed ignorance on the matter. He admitted that he was in the community forest while the trees were cut by the community forest members but claimed ignorance of how the timber was smuggled onto the truck. “I am surprised. I was there on inspection round when the truck was loaded with the timber. But I don’t know from where the unauthorized timber came into the truck,” said Shahi. Locals lament that the trees are fast disappearing from their community forests. Deforestation is going unabated in several areas in the district, locals claimed. “We are witness to this very unfortunate happening. We are seeing before our eyes people stealing trees. And we can do nothing,” Sah said. “When the authority itself helps the timber smugglers, who can stop them? We are quite worried with the way things are,” he added. FDO, Banke Chief Khadka while admitting that there has been slack monitoring, pledged to strengthen the monitoring process and take actions officials who are involved with the timber smugglers. “We are going to correct things. Those who have wronged the department will not be spared. We are planning to come up with better inspection mechanism and security system to save the trees,” he added.